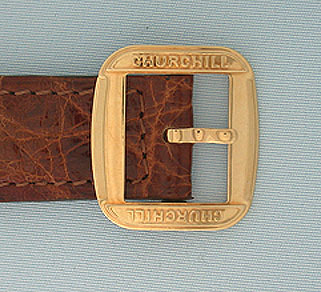 Unusual oversized Churchill 18K gold "Crash" wrist watch circa 1985. White dial with bold black numerals. 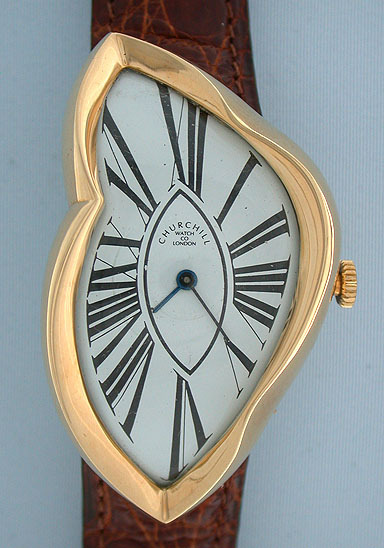 The very heavy case is a copy of the famous Cartier "Crash." Limited production run. 17 jewel ETA movement. With original band and original heavy gold buckle. Most attractive and in wonderful condition. Most likely inspired by the paintings of Salvador Dali.